Safe access in all weather conditions. Safe-T-Trax® is used on flat roofs, platforms and walkways to provide safe access for the maintenance of roof top air conditioning units and other services. 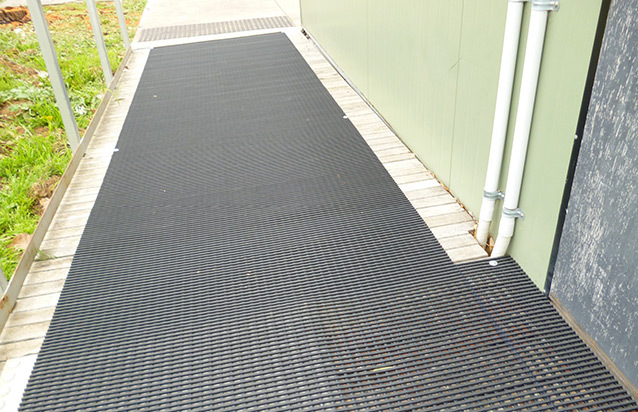 The matting is 14mm high and designed to be completely impervious to all weather conditions It provides permanent slip resistance, even in areas where water may pool. Safe-T-Trax® is extremely hard wearing and will out last that of modern flat roofing materials. Safe-T-Trax® is compatable with vinyl roof’ membranes and provides exceptional protection to the roof covering from pedestrian traffic. 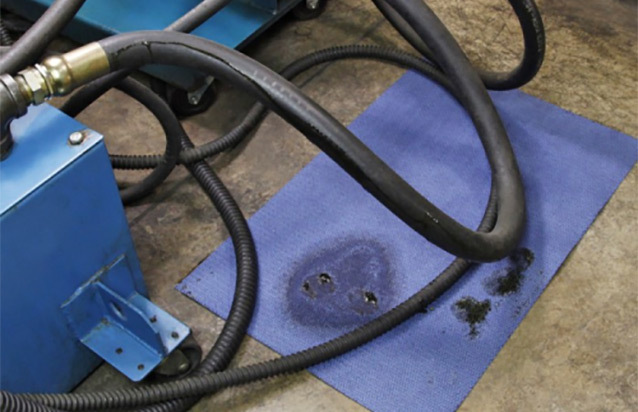 Safe-T-Trax® is designed to be loose laid and remains stable even in cyclonic conditions. 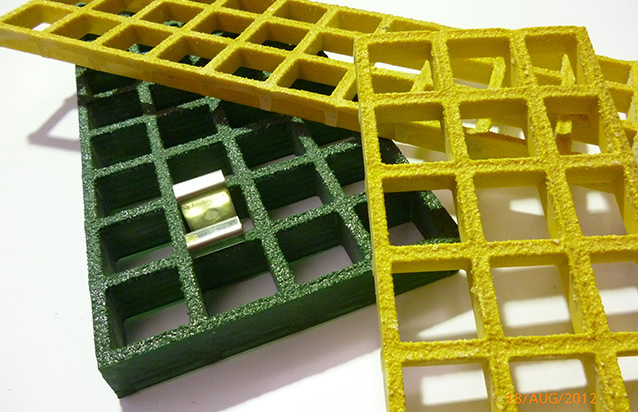 Provides slip resistance in areas where water may pool. Impervious to weather conditions. Available in roll format – quick and easy to lay. Protects the roofing membrane. Simple to join or cut to shape. Stable in very high winds. Made from 100% recyclable food grade materials. Available in roll lengths up to 30 metres and in widths of 60cm,75cm,91cm or 122cm.